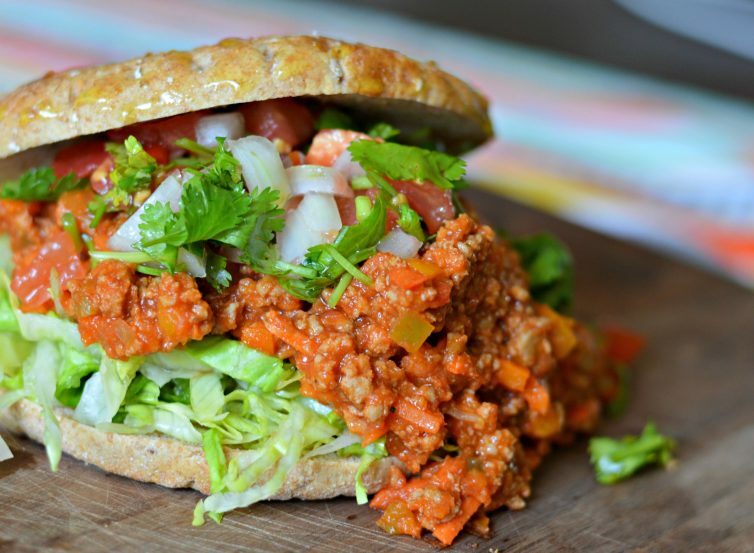 This healthy sloppy joes recipe is not only delicious, but it is good for you too. Your kids won’t even know that it is good for them! 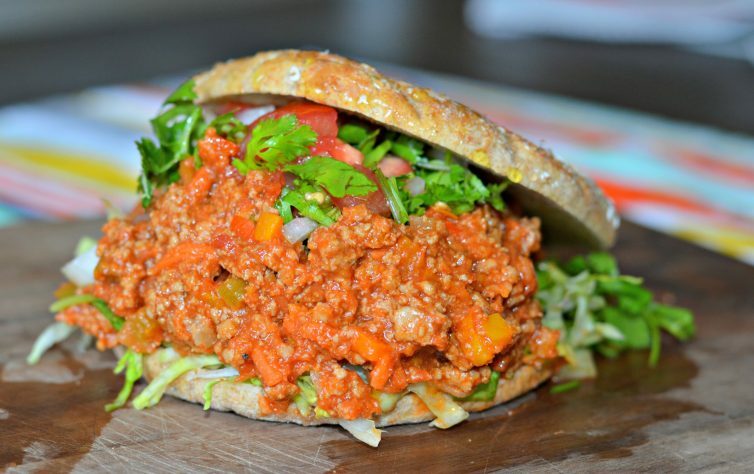 Sloppy Joes are similar to a type of food that we have in Mexico, called picadillo. 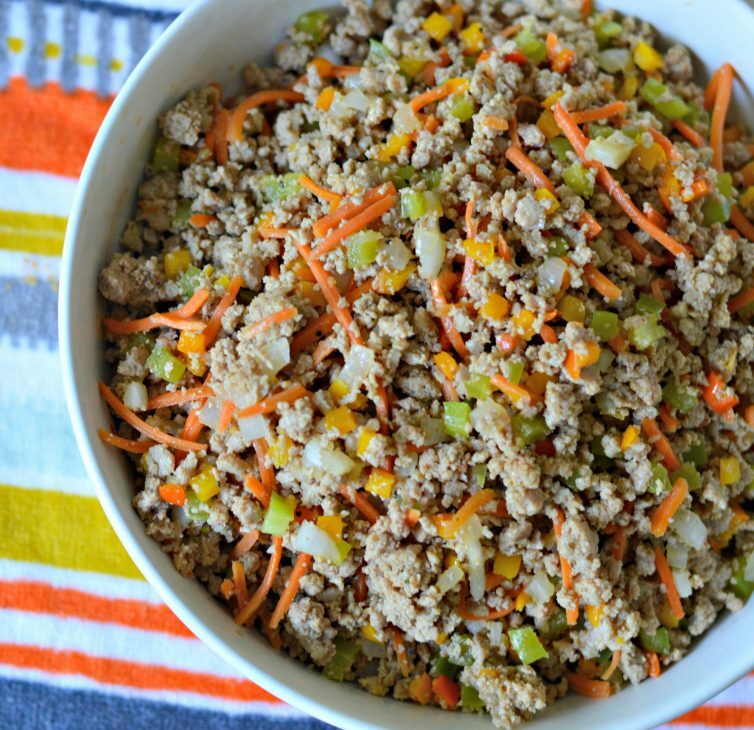 One main difference is that picadillo is made with diced potatoes and peas, whereas Sloppy Joes are sweeter and can include a variety of veggies to make it more healthy. In Mexico, we tend to eat picadillo with tortillas or tostadas. 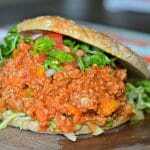 Sloppy joes, on the other hand, are prepared as a sandwich and are often served with potato chips or other side dishes. In any case, sloppy joes are a fast, easy, and delicious meal that everyone seems to love. This sloppy joes recipe is similar in concept to many other recipes that you can find online, but it is different as well because I love to add fresh vegetables and spices, and of course, being from Mexico, I like to add my own spicy touch by including some chipotle salsa. One of the best parts about this recipe is that you can make it year-round. Whether it is during the cold winter, in your home, or during the summer on a picnic. Now, being as popular as it is, you can find sloppy joes en restaurants and at stores, but homemade is always best so that you can control the ingredients. For this sloppy joes recipe, you will use delicious natural ingredients that you will feel good about sharing with your family members. There isn’t much more to say about this delicious recipe. Even though it is really healthy, kids love it! My 18 month old had three servings the last time I made it. Adults also love it, because it is truly delicious. I hope that you enjoy it as much as my family and I do. Let me know in the comments below how it turns out. 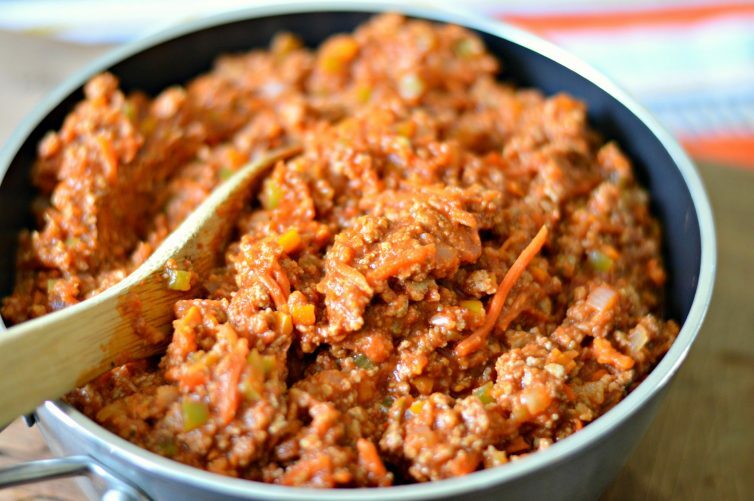 These Healthy Sloppy Joes are just as good as the traditional version, but much better for you. Chopped lettuce and pico de gallo to top it. 8 Whole wheat sandwich thins or regular hamburger buns if you prefer. Brown the ground turkey with all of the spices, and then drain the grease from the pan. Add all of the vegetables and cook over medium heat. Once they are cooked down, add the tomato paste, tomato sauce, ketchup, and mustard. Let simmer for 3-5 minutes, and then add the sweet potato puree, the chipotle sauce, and the Worcestershire sauce. Mix well, and let cook for 8 minutes. Agrega el pure de camote, el chipotle y la salsa inglesa. Serve on the sandwich thins, topped with pico de gallo and lettuce. Hi Charbel, thanks for all your recipes! I have a question about the half a can of tomato paste and half a can of tomato sauce. Are those the bigger cans or the small 6 and 8 oz cans? I just bought the smaller ones and was going to use all of it. Thanks!